Anybody watch this? I really liked Wagner Moura and had to keep reminding myself that he killed so many people because they made me like him so much. Also didn't recognize Prince Oberyn as one of the DEA agents. It was a nice surprise to have something as entertaining as Narcos. I hated the voice over at first but got used to it. I skip the introductory title sequences for every show I've ever watched except this one. Moura manages very well to project power and desire for power that is so strong it can only lead the horrible chaos that happened in real life. 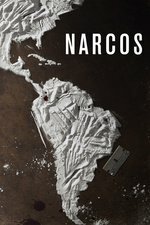 I did like Andrés Parra's Escobar from Escobar, El patrón del mal. Very different but just as interesting. I found it rather enjoyable, although the FBI agent protagonist was vastly less interesting than Escobar - perhaps that was inevitable, they're both good actors but Moura just inhabits that role.